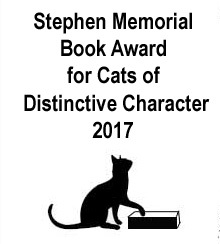 The Memorial Book Award for one of our deceased founder members is something we have been discussing for the last month, so we are proud to announce the first Stephen Memorial Award for Cats of Distinctive Character. Oh, didn’t I mention he was furry and feline? And very much missed. The idea behind the award is simple: to find and celebrate the most distinct cats in works of indie and small-press fiction. With cats on the rise in cozy mysteries, dramatic novels and more, the Award will go to the cat which stands out as a lead or supporting character and makes their presence felt throughout. If their personality and pawprints show on every page (and not just the muddy ones they made when they decided to sit on what you were reading), that is the book we are looking for. We can only have one winner, but up to ten runners up will also be chosen. The Top prize is a £100 Amazon UK voucher, and a catnip mouse. The winners and runners up will all recieve an emailed certificate and web badge they may use to promote their title. Our judges, our normal review crew, reserve the right to review books entered for bookangel whether the books win or not. 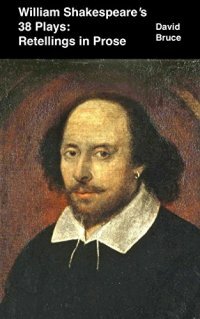 Any book listed on bookangel.co.uk. Any other books published since 1st January 2016 on Amazon UK or Kobo, and currently available on those sites (by authors in the US, Canada, UK and dependencies, Australia and New Zealand only). The competition is open to entries from 12:00pm 7th August 2017 to 12:00pm 31st. August 2017 (GMT), but will accept a maximum of 150 titles, and no more than 3 books per author. Be between 500 words and 500 pages. No erotica, picture books, or early readers (nothing aimed at children under 10’s), or poetry. The first entry is free, the second book entered costs £5 and the third book entered costs £10 (for a total of £15 for three books). 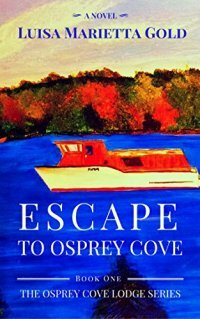 If the book is not free on Amazon or Kobo, the entry also will be invoiced for the cost of purchase to secure copies for the judges. An invoice will be sent once your entry is received and must be paid by 31st August 12:00 PM GMT or your books will be disqualified. Payment is through Paypal or Amazon UK vouchers. To enter, enter your name and email into the form below, along with the link (URL) to your book on AmazonUK or KoboUK. Check here to confirm you understand and accept the rules of the competition. *Entries will also be invoiced for the cost of the ebooks if the bbooks are not free to download on Amazon UK or Kobo. Kindle Unlimited is not applicable. No erotica, children’s books, or poetry. This contest is open to any book that has been listed on Bookangel.co.uk or books that were not but have been published after 1st January 2016. Entries are not permitted for books written or published by friends or family of the judges, or by Ragged Angel Ltd due to its I.T. association with the site. Plus cost of book, if the book is not free*. Payment may be through Paypal or Amazon.co.uk vouchers (We can’t take Amazon.com vouchers). 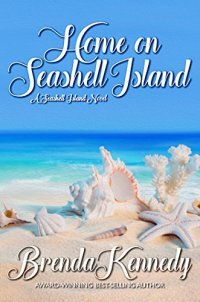 Books must be available (not in pre-order) on Amazon or Kobo UK, which is where review copies will be taken from. Entries and Payment must be received by 31st August 2017 12:00pm GMT. No late entries will be accepted. This contest is open to a maximum 150 books, and entries will close early if this number is reached. Any funds received will be use to cover the competition running costs and purchasing entry copies. Any surplus will go into the fund for running the bookangel.co.uk site, and getting books for review. Privacy: Your data will not be used for any purpose outside this competition, and will not be transfered to third parties. It's technically not open until 12:00 today, but we've already had 6 entries. We won't start processing them until tonight. I have seen the entries, and I have to ask about the position on were-cats? I would suggest that as they are mainly human instead of cats* and have human not feline base characters they would be ranked below an actual cat in the awards. *Unless they are like Greebo, of course, who should probably win outright, were he not disqualified by publication times. This sounds like a great idea. I'm a sucker for books that feature cats as characters, so I look forward to a list. Also, if I had the power to create an award in honor of my departed, but still dear Sylvester, I would absolutely do it. *Book Award for Distinctive Cats 2017 **http://bookangel.co.uk/wp-content/uploads/2017/08/2017-bookaward.jpg** The Memorial Book Award for one of our deceased founder members is something we have been discussing for the last month, so we are proud to announce the first Stephen Memorial Award for Cats of Distinctive Character. Oh, didn�t I mention he was furry and feline? And very much missed. The idea behind the award * *Continue reading...** The Insecure Writers Support Group is going to send this out to its members. This sounds like a purrfect way to celebrate one of your founders and to have a shot at publication. Besides, who doesn't enjoy a good cat story? Oh well, I guess I know what I will be doing this Septmeber then. At least I can enjoy this piece of work. Can I ask an author to submit::ninja::? I'm not a judge & I won't say who to dodge bias. Their book is a great fit. *Can I ask an author to submit::ninja::? I'm not a judge & I won't say who to dodge bias. Their book is a great fit. * I've nudged a couple of authors about the award, as long as the judges don't know who, I don't think there will be any bias. Also, its only authors who have agreed in the past to be contacted. I believe we have a small problem. We have a lot of books submitted (and even paid for), including some gems, but several books have no distinctive cats and some have no cats at all. After contacting the authors, once we had read the books, we learned some authors would willing pay to enter their book in the competition in the hope of a review, even when they know there is no cat in it and they won't win, or even qualify. I'm not sure we are going to have enough qualifying books to get ten runners up at this point, despite the fact we may go over the 150 entrants. Could someone please put out a call for cat books? 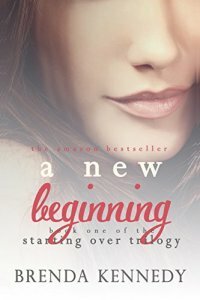 Name: Nancy Lynn Jarvis You said it was OK to enter even though Harry, who appears in all the books in the series, is not a major player in the book. *Name: Nancy Lynn Jarvis You said it was OK to enter even though Harry, who appears in all the books in the series, is not a major player in the book. * As long as the cat is distinctive - it's acceptable. How many submissions have there been so far? It sounds like there's been a good turnout. It's getting rather exciting and I can't wait to see who will win. That sounds like a bit of dampener to have entries that don't even have a cat in them just for the review. Of course, the bright side is that the reviews done here are so good authors are clamoring for them.